I admit it: when I first started writing, the idea of different writing styles not only confused me but intimidated me. “I’m barely learning the craft,” I thought to myself. From where I sat, I could not envision developing my own style. Then I learned that there are two ways to look at styles. 1. A writer’s style: an individual writer’s tone and manner sometimes called the “writer’s voice.” There are as many individual styles as there are writers. 2. Writing styles: different kinds of writing that fulfill different purposes. 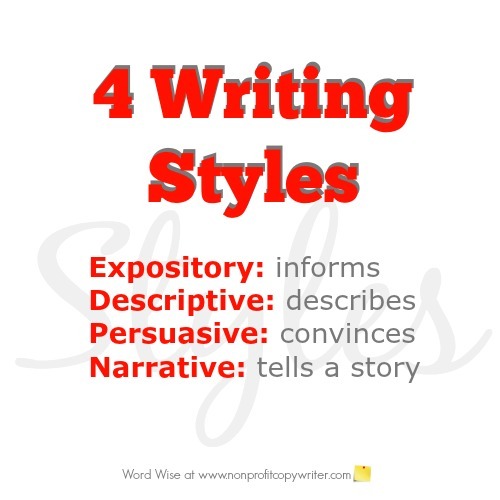 All writing falls into one of four types: expository, descriptive, persuasive, and narrative. Each of these four types has a specific purpose. This is helpful information. Once I came to understand and master the basics of each type of writing style, I could save time and write better. As you prepare to write a project, ask yourself this: "What is the purpose of this project?" Your answer will help you focus your content and approach. Your purpose: inform your reader about a subject. You give facts and explanations, often as a process or in a logical order. Opinions? No. Your purpose: describe a person, place, thing, or event using details. You use words to paint a picture often with the senses: what you see, hear, taste, smell, feel, or touch. 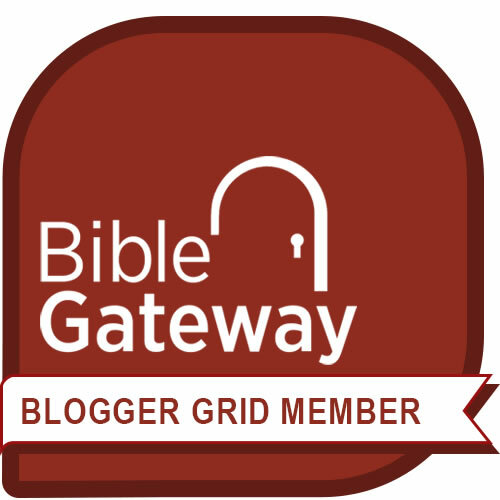 Anecdotes, fiction, poetry, journals, nature writing, travel pieces. Your purpose: to convince the reader. You use reasons, arguments, and justifications to persuade the reader to embrace an idea or viewpoint. Persuasive writing often includes a call to action, aiming to get the reader to take a step. More Than One Style of Writing in the Same Piece? But along the way, give yourself grace to use elements of all four types of writing to achieve that purpose. Writing styles bleed into each other. Choose a style for a piece. But don’t get hung up on it.